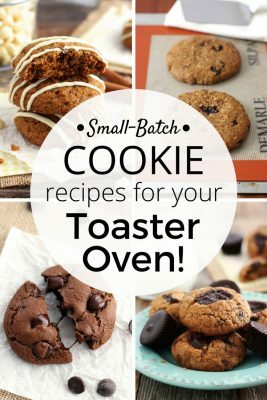 Small Batch Cookie Recipes For Your Toaster Oven – A small batch of warm and gooey fresh-baked cookies are perfect for date night, a fun activity with the grandkids or any time you’re craving a special treat that’s just for you! 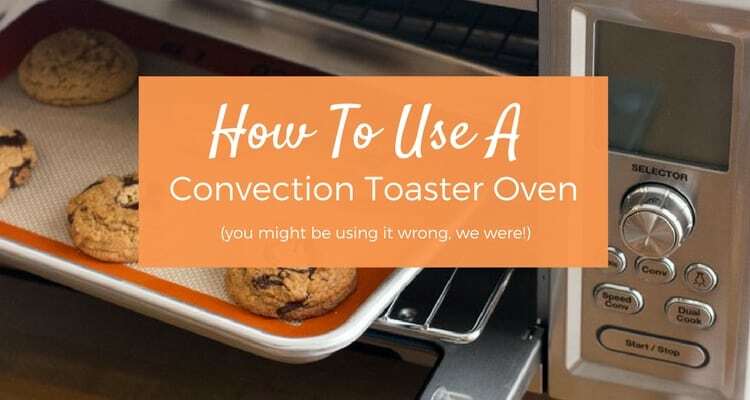 Below you’ll find links to all of our tested toaster oven cookie recipes to help you satisfy your sweet tooth without all the pesky leftovers of a ‘big oven” recipe. 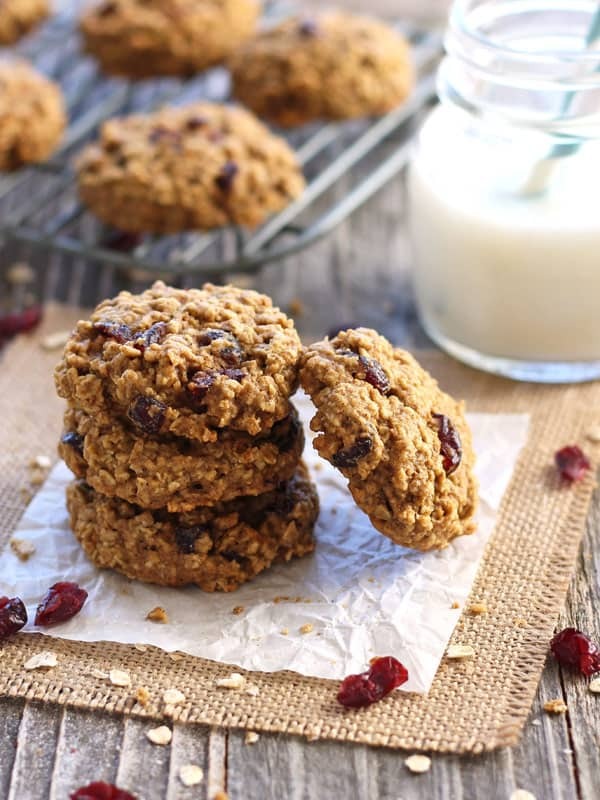 Each recipe features whole grains and makes 1-dozen cookies or less. To make sure you’ll absolutely find a recipe to match your specific craving we’ve rounded up links to even more small batch cookie recipes from our favorite online bakers. 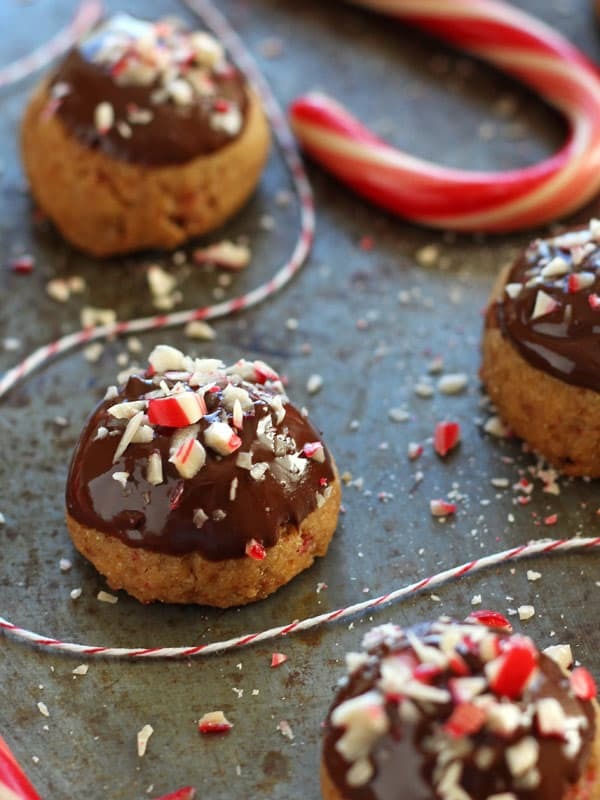 Among the 70 small batch cookie recipes below, you’ll find a nice mix of flavors including peanut butter oatmeal, fudgy double chocolate chip, crisp vegan shortbread, tender vanilla cookies, and so many more! New to Baking With a Toaster Oven? 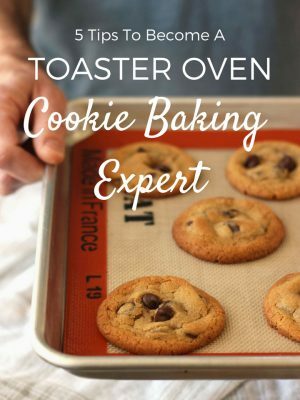 Check out our Toaster Oven Cookie Baking Guide. It’s full of tips to help you make the best tasting cookies using any recipe – big or small! A small recipe for six splurge-worthy fudgy, chewy, super chocolaty cookies. 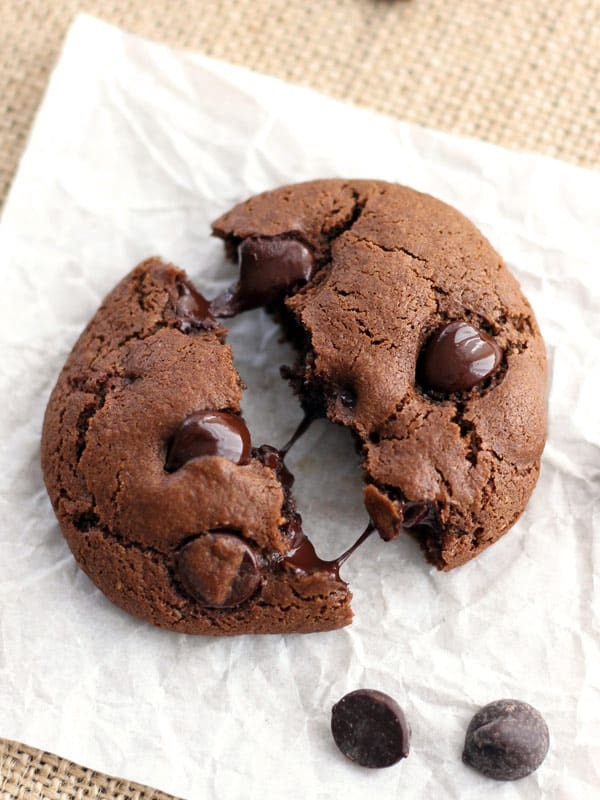 For the deepest chocolate-flavored cookies refrigerate the dough at least 10 minutes. Want even more chocolaty options? Check out these Easy Small Batch Chocolate Cookies In 8 Fun Flavors! 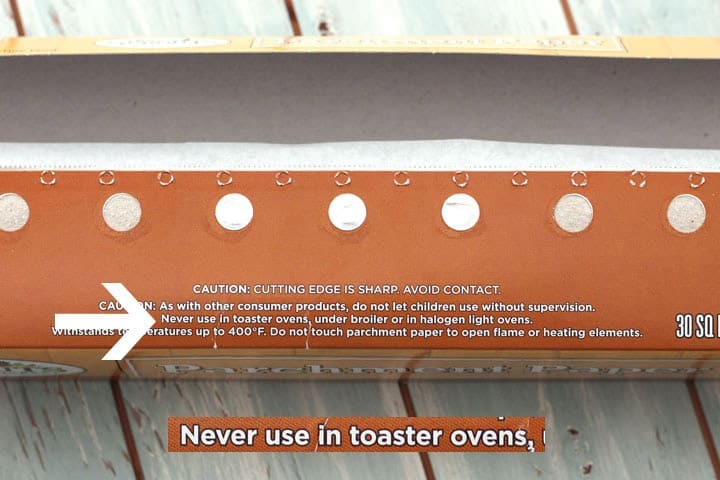 You’re probably used to using parchment paper when baking cookies but most boxes are labeled as not safe for use in a toaster oven. 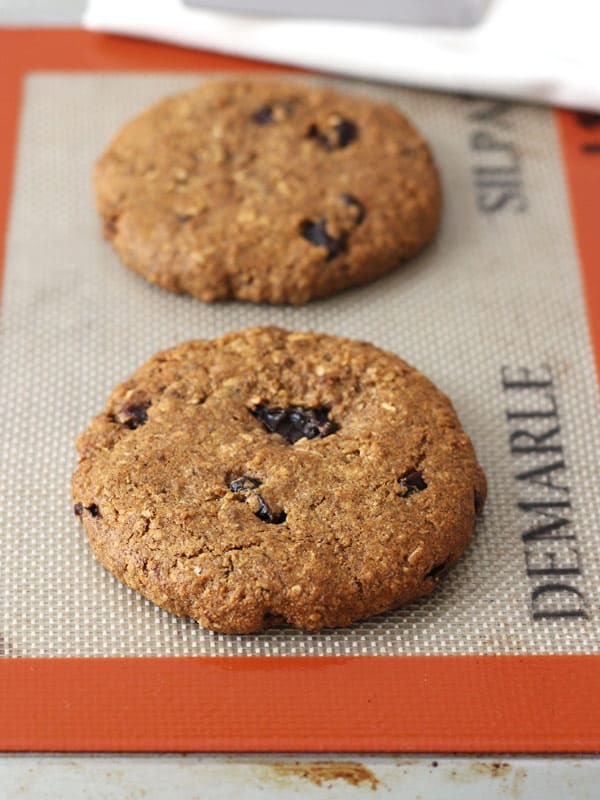 To help your cookies bake evenly without sticking we recommend lining your pan with a small silicone baking mat, they’re easy to clean and reusable. 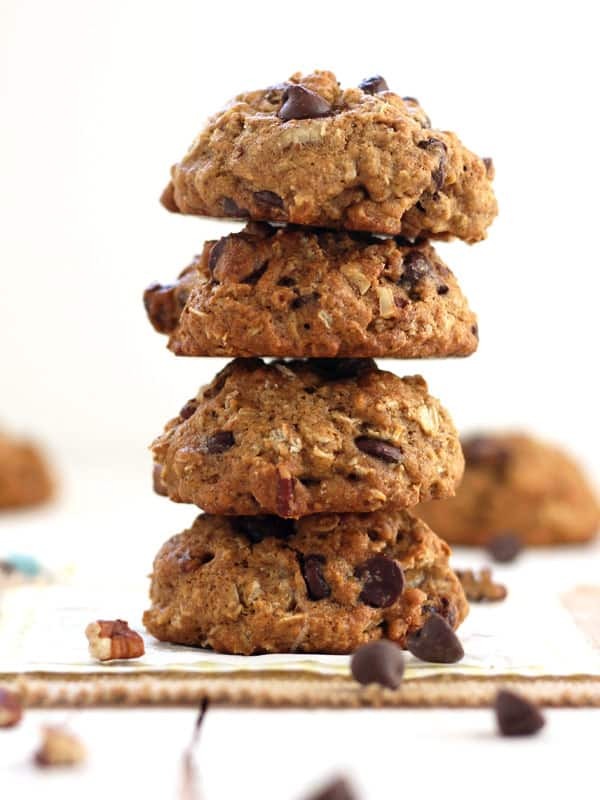 A small batch recipe for nine fat little whole grain cookies made with rolled oats, toasted pecans, and chocolate chips. Crispy, crunchy and chewy in every sweet bite. Nine not too sweet cookies that are crispy outside, soft and fluffy inside. Made with whole wheat flour, brown sugar and crunchy chia seeds they’re a healthy-ish way to scratch any chocolate chip cookie itch. Only 100 calories per cookie! A simple recipe for 10 soft and chewy small cookies featuring the classic flavor combination of cranberry and orange. Just one bowl and 30 minutes for a tasty batch of healthy-ish whole grain cookies. 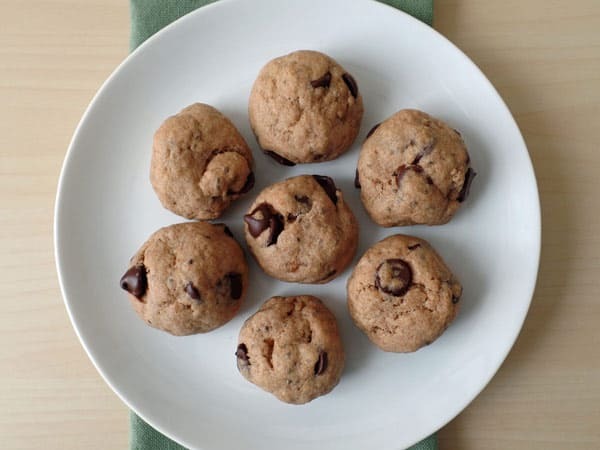 Sweetened with dates and maple syrup this easy vegan cookie dough comes together in just 5 minutes with the help of your mini-chopper. Make two large bakery style cookies or roll the dough into tablespoon sized balls for a small batch of eight soft and chewy mini cookies. 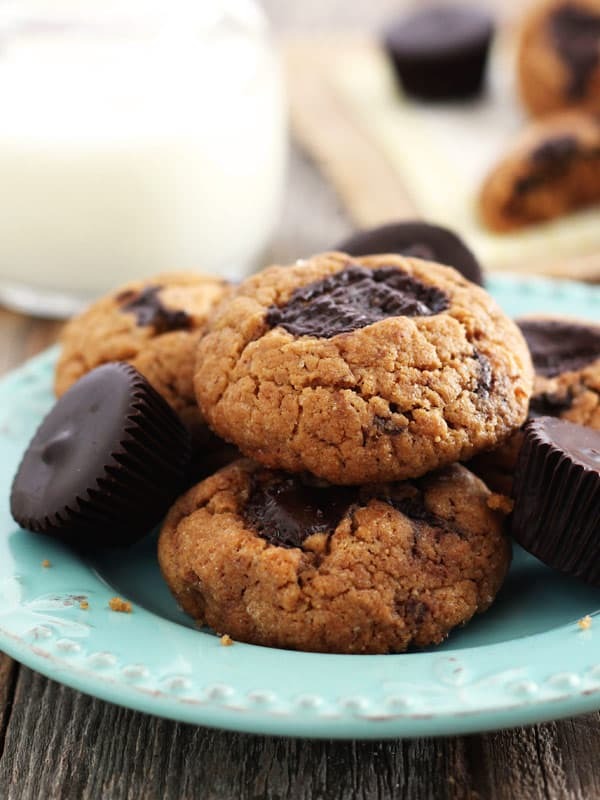 Satisfy your next peanut butter cookie craving with this small batch recipe for eight decadent whole grain cookies stuffed with chunks of rich mini dark chocolate peanut butter cups. Includes tips for baking cookies with natural peanut butter too! One dozen buttery shortbread cookies with tiny bits of peppermint and a hint of peppermint oil. You’ll only need one bowl to make this eight ingredient recipe including the chocolate glaze! 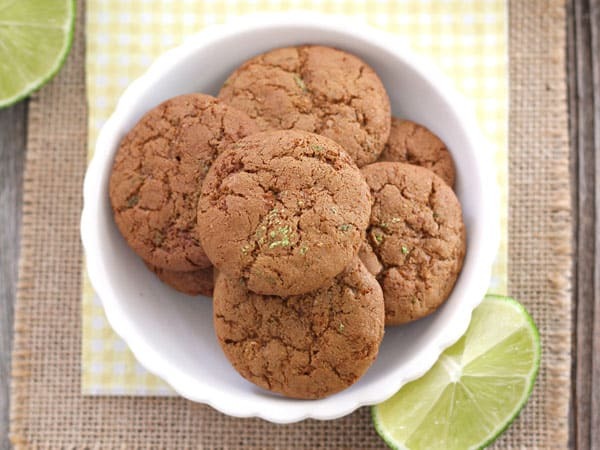 Mini bite-sized citrus flavored cookies made with coconut sugar and white whole wheat flour. They’re crispy, chewy and will fill your kitchen with the scent of fresh lemons and limes. 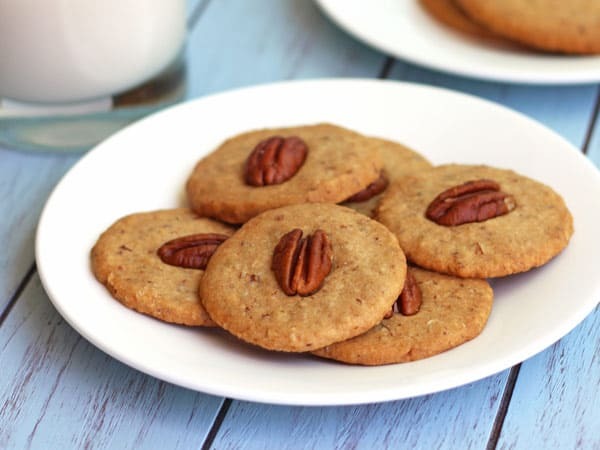 Six buttery whole grain pecan cookies that are sweetened with maple syrup. Enjoy these crunchy nutty snaps on their own or turn them into a batch of mini ice cream sandwiches. 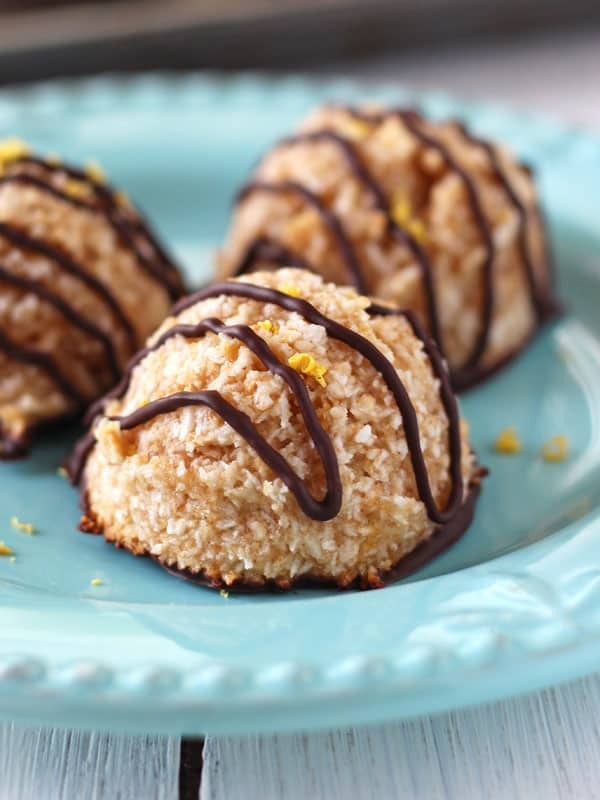 Seven sweet and chewy vegan macaroons with the delicious combination of lemon, coconut, and chocolate. 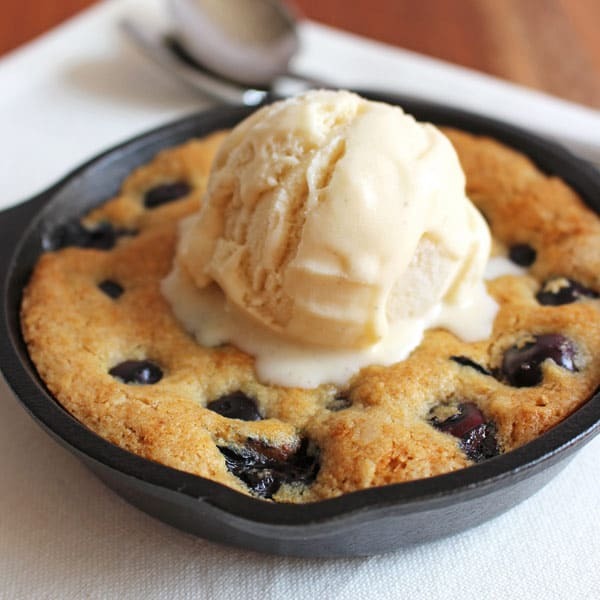 Freshly squeezed lemon, honey, and whole grains bake up in a mini skillet cookie bursting with fresh blueberries. Don’t forget the ice cream! Recipes that call for a 3.5-inch mini skillet can also be baked in a ramekin and individual baking pan. For recipes that use a 6-inch skillet you can substitute a 6-inch cake pan or two 3-inch individual metal pans (with cooking time shortened). 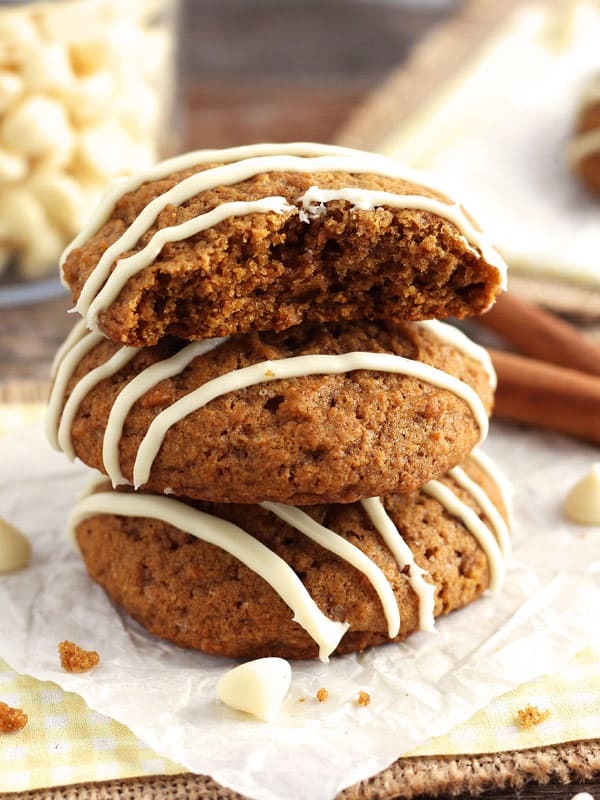 If you’re the only one in your family that loves ginger cookies this is the recipe for you! It makes just 6 crispy, chewy, bold and spicy cookies. The perfect recipe to use up the last bit in your open can of pumpkin. Nine soft and cakey cookies with crispy edges and tons of pumpkin pie spiced flavor. 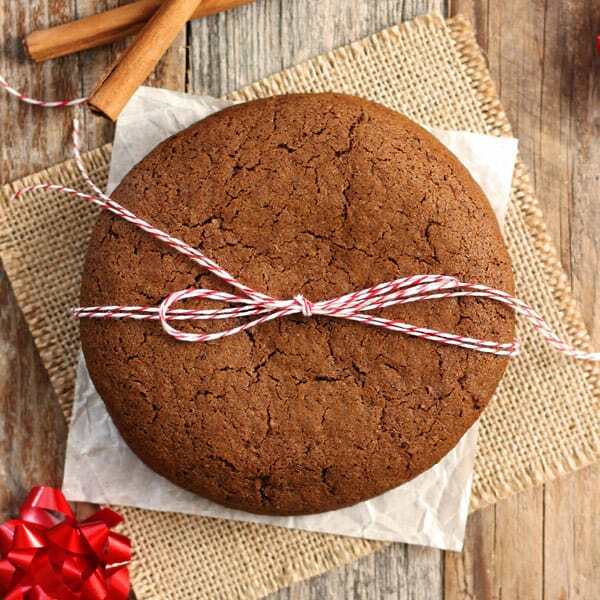 Strong spices and bold molasses create a tasty crinkled-top chewy cookie made with whole wheat flour. Divide the dough in half for two jumbo cookies or make a batch of 6 or 12 smaller cookies. Includes dairy-free and egg-free options! 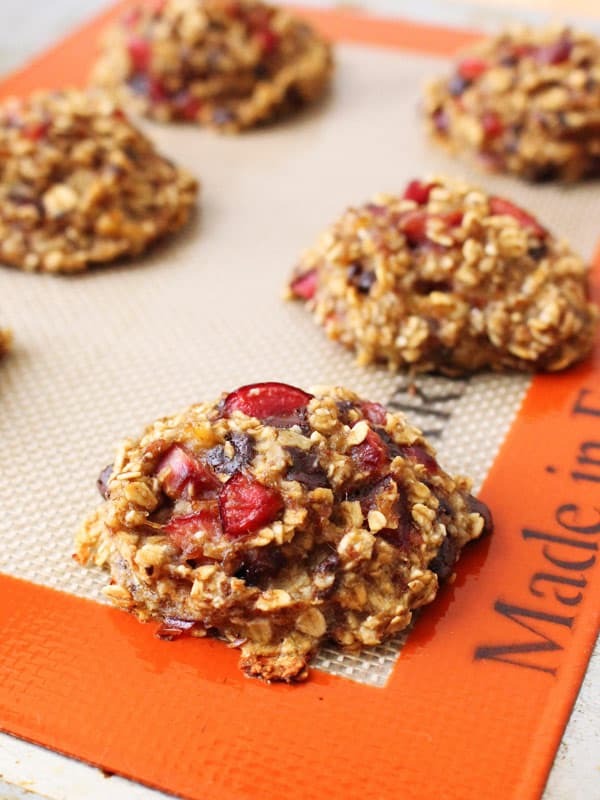 This decadent recipe is full of wholesome ingredients like ripe mashed banana, flax meal, quick oats, a splash of almond extract and fresh cherries. Even with the chocolate, you can enjoy the whole batch for less than 400 calories! Quick to throw together, these no-sugar-added fresh blueberry filled cookies make the perfect kid-friendly breakfast or snack. Slather on some peanut butter for a fun PB & J treat. Featuring the unique flavor of sweet Hachiya persimmon pulp these healthy cookies are basically a small bowl of oatmeal you can hold in your hand. Bright and fresh, with no added sugar these baked oatmeal “cookies” have chunks of strawberries, clementines, and an unexpected pop of lime. Includes tips for using cookie cutters to create fun shapes before baking in your toaster oven. And if you share your All-Time favorite kind of cookie in the comments below, we promise to do our best to get you a toaster oven-sized recipe! 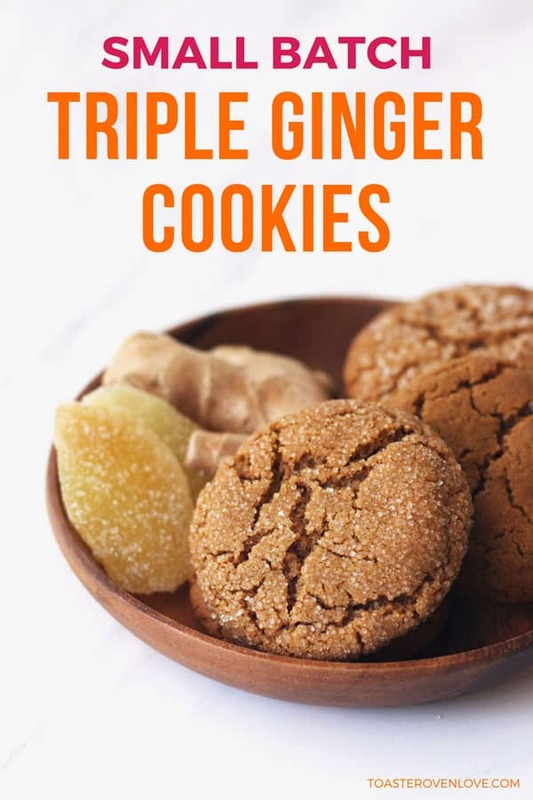 I love ginger cookies (soft & chewy) and gingersnaps (crisp) but nobody else in my family does, so a good small batch recipe for these would be much appreciated! I’m so glad you enjoyed the cookies and thank’s for sharing your gluten-free substitutions. We just bought a bag last week of Bob’s GF Flour to try with the carrot cake and I was surprised by how tender and light it made the cake. Now, I’ll have to use it on those pecan cookies with your changes! Sorry your big oven broke but glad you’ve got your toaster oven to keep you flush with baked cookies 🙂 Hope you enjoy the chocolate ones too!